PACIFIC TOTAL LUNAR ECLIPSE (April 4): BE the CHANGE & BE in BALANCE! How have you been opened up, and renewed, in the most intense, potent, and ‘pregnant’ month of March 2015? How has your experience of the COSMIC CATALYSTS for BREAKTHROUGHS, LIBERATION, and AWAKENING been? Have seeds been planted in your life? Can you see their potential emerging now? Let the En-LIGHTening Self Emerge in every NOW, and be the higher consciousness Aries energy! 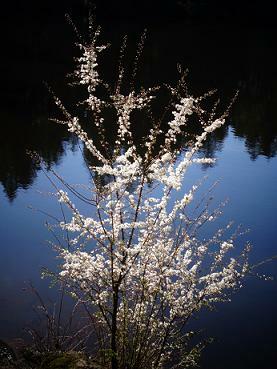 Be free and fresh and innocent, in THIS moment, like a new blossom in Spring on a strong well rooted tree! Open to Cosmic Crown Consciousness, AND rooted in the embodiment and in what provides ‘root support’, on Planet Earth. Trees are such wonderful examples – shamanistic Plant Elders and Guides of how-to-live. BE YourSelf, in Balance, Peace and Harmony with Life, and let the Old Empire Expire! The Full Moon at 5:06 am PDT today April 4 comes right after a Total Lunar Eclipse at 5:00 am PDT – at Moonset! The whole Eclipse phase will be from 2:03 – 7:58 am PDT. EVERY Total Lunar Eclipse is ‘blood red’ from the sunlight passing through the Earth’s atmosphere and refracting red light onto the otherwise unilluminated lunar surface. The Total Solar Eclipse on March 20, just before the Spring Equinox 13 hrs later, brought endings and release, to catalyse Seed Potential and Newness. 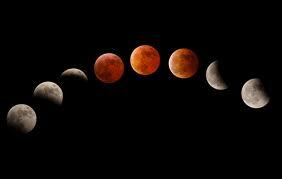 The Total Lunar Eclipse is about BALANCE, Peace, and Harmony. The Eclipses catalyse the present South Node in Aries and the North Node in Libra. Eclipses always connect with the Nodes of the Moon. They occur when the Full Moon and New Moon align with the Nodes of the Moon – the closer the alignment with the Nodes the more ‘totality’ – see in the chart of the Full Moon / Total Lunar Eclipse – only a few degrees away! This Total Lunar Lunar Eclipse is # 3 out of FOUR Total Lunar Eclipses in a row (called Tetrad). And: ALL 4 of them with South Node in ARIES / North Node in LIBRA. BE Authentically Yourself (AR), in Balance, Peace, and Harmony! You (AR) get Energy from finding Synergy, Cooperation, Partnership, and right Relationship (LI). They help us with transformation of old conditioning, with bringing the gifts ‘from the past’ into the present, but that requires releasing of old habits and attachments, embracing of new qualities of being, and balancing two poles of the spectrum. 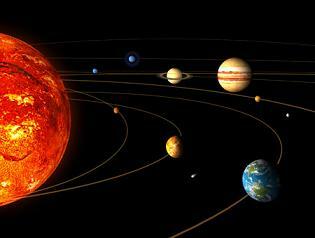 Which is presently the LIBRA – ARIES axis. A new, more authentic and dynamic harmony is now not only available but also highly required, which allows us to negotiate well, and make genuine decisions. The ‘incentive’ of the LI North Node! – Peace keeping, and compensating, so that nobody gets hurt, but: at what expense? – ‘Designing ourselves’ in a way that ‘looks good’ since we are concerned about other people’s judgement – but: is it authentic? – Compromising ourselves / loosing touch with who WE are because of strong need to relate and ‘fit in’ in general, or to certain people / groups. Let’s set the side of Aries FREE that takes too much energy, and is outdated. Let’s find new sustaining energy from the Libran quality. Let’s BE in dynamic balance. Let’s wake up, and make new choices. Let’s release the Aries energy that’s in stressful survival mode (rather than in peaceful harmony and balance), reactive (rather than pro-active), competitive (rather than cooperative) . What are you a warrior of? How can you live from Peace-in-Action? In what ways are you starting fresh and authentic, now? Where are your partners? What / who is a good match and compatible with you? How can you turn competition into cooperation? How can your autonomy benefit from synergy and win-win? What does it mean to aim for ‘best of both worlds’, rather than worlds clashing? Where can the inner war (where we battle with ourselves and ‘inner enemies’) find an end? How do you find harmony this Spring? How can we be the ‘Warriors of Balance and Peace’? Negotiation of synergistic win-win exchanges can be very rewarding. Nobody is ‘an island’, and we are all interconnected and can help each other. And when we pro-actively give to somebody else what we want for ourselves (love, appreciation, help…) we tell the Universe that we are in that vibration, and as we exude that we attract. We don’t have to ‘fight for it’. Life is a dance, rather than a battle field. You are probably familiar with the themes of authenticity / autonomy without aggressiveness, skilful negotiation, incentive for win-win partnerships, fair and balanced exchanges (Did I say it was easy? Rewarding if you do engage there), as a life theme. Where is for you the LIBRA – ARIES Axis? Is something imbalanced where LIBRA is in your chart? What’s with the balance of giving and receiving, of activity and rest, of pursuing and attracting, and of the ‘Feminine’ and ‘Masculine’ there? How can you be in partnership with others, with nature, with celestial energies? MARS in TAURUS (ruled by Venus) since March 31 until May 11 can help us with owning our physical container, anchor the abundant Aries activation. 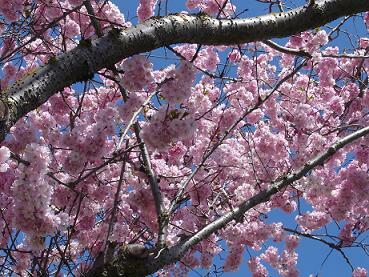 Slow down, in grounded sensuality: Smell the blossoms, cook the food, enjoy being IN the body. Keynote: Coming to terms with the inevitability of establishing steady rhythms of social activity. In his early course, “Symbolical Astrology”, Marc Jones sought to concretize this abstract image by speaking of “machinery parts, new and circular.” It is far better, however, to face the image in its most general sense, as he himself did later on. It is because of everyday activities, whether in the home or in the business, inevitably tend to repeat themselves in circular fashion that it is necessary for the individual to have rest times during which s/he can be released from repetitive patterns. It is only when the individual has fully attuned to, and in a sense identified with the vast planetary and cosmic rhythms of the universe, and thus free from emotional and group tensions, that s/he can act serenely and at peace along ‘circular paths’. Indeed: Now is the Time to integrate and balance out the recently activated rapid changes that have been breaking down and purging old, dead ways of being, and catapulting us into the NEW, and to attune with natural rhythms and natural laws. The Total Lunar Eclipse Axis squares PLUTO. In other words: it creates an almost exact T-square with Pluto (see chart) which works itself through the coming week. The Pluto focal point in mid CAP, and the fact that Pluto is stationary this month (to go retro on April 16) makes the Total Lunar Eclipse very ‘Plutonic’. Does that sound scary? Let’s demystify that too. Pluto serves as a powerful ‘outlet’ for the Eclipse. Dynamic Balance and New Choices are catalyzed when we follow the evolutionary process to let old contracts, old ‘matrixes’, old outlived structures organically ‘expire’, and are reborn as the Change, also on behalf of our lineage, our biological, spiritual, and karmic ancestors. They don’t want us to walk in their footsteps of conditioned limitations, and they are here to help us evolve. We can invoke their support. Check it out where it feels no longer ‘secure’ to be loyal to and live by limiting structures that are breaking down now or that we are ‘picking’ ourselves free from within. What would be sustainable, long term choices that are due now? DO something significant. BE the Change.